US forecasters on Thursday downgraded their hurricane season predictions, saying that ocean conditions suggest it's now likely that a below-average number of storms will strike the Atlantic and Caribbean this year. The milder outlook comes after a particularly devastating year in 2017, when 10 hurricanes tore through the Atlantic basin making it the most expensive season on record, costing the United States some $306 billion. 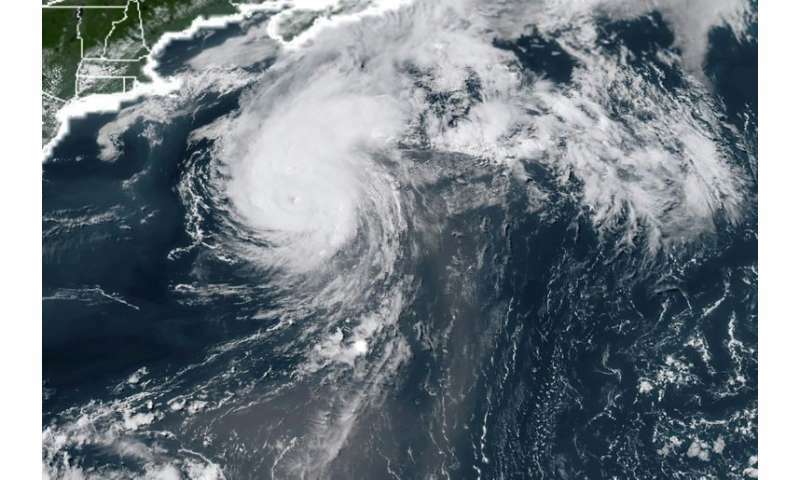 "Conditions in the ocean and the atmosphere are conspiring to produce a less active Atlantic hurricane season than initially predicted in May," said the National Oceanic and Atmospheric Administration's Climate Prediction Center. Experts now expect that between nine and 13 storms large enough to earn their own names will form, of which four to seven will become hurricanes. No more than two major hurricanes with winds 111 miles per hour are forecast before the season ends on November 30. Earlier this year, NOAA had anticipated a "near-normal" year with 10 to 16 named storms, including five to nine of hurricanes in 2018. The likelihood of a below-normal hurricane season has edged up to about 60 percent. It was just 25 percent in May. An average hurricane season produces 12 named storms, of which six become hurricanes. Officials warned coastal residents to prepare their supplies and evacuation plans anyway, as the region enters peak storm season. "There are still more storms to come -– the hurricane season is far from being over. We urge continued preparedness and vigilance," said Gerry Bell, lead seasonal hurricane forecaster at NOAA's Climate Prediction Center. The updated outlook applies to the formation of storms, but does not predict whether or not they will make landfall. The downgrade in the hurricane forecast was influenced in part by the equatorial ocean warming trend known as El Nino, which is "now much more likely to develop with enough strength to suppress storm development during the latter part of the season," said NOAA. There is now a 70 percent likelihood that El Nino will form during the hurricane season. Cooler-than-average sea surface temperatures across the tropical Atlantic Ocean and Caribbean Sea, along with "stronger wind shear, drier air and increased stability of the atmosphere in the region where storms typically develop will further suppress hurricanes," NOAA said.